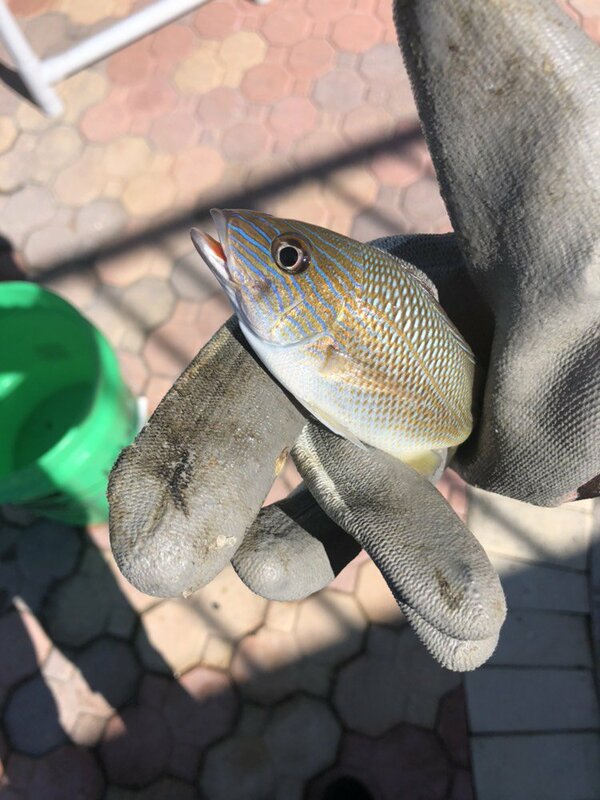 A friend of mine caught this in a bait trap behind her house in the Keys. I got her into fishing while I was down last and showed her how to use pinfish for cut bait. I told her to toss this back as it looked to me to be some type of juvenile snapper, but I really have no clue. Anyone willing to take a guess?